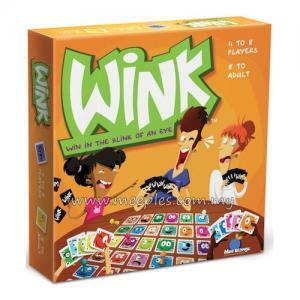 Wink is a hilarious party game that will plunge you deep into an atmosphere full of crazy laughter, awkward stares, and a healthy dose of paranoia. 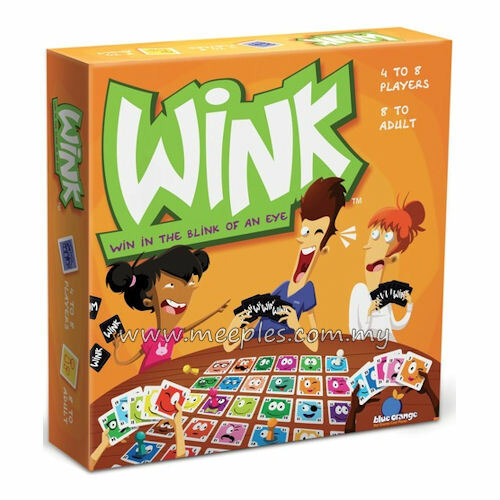 Each turn, you will try to covertly wink at your new secret partner without being detected by the other players. 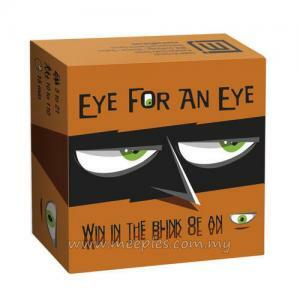 Keep your eyes wide open, because if you catch an opponent in the act of winking you can use one of your Accuse Cards to steal their points! The player with the most points at the end of the game wins.